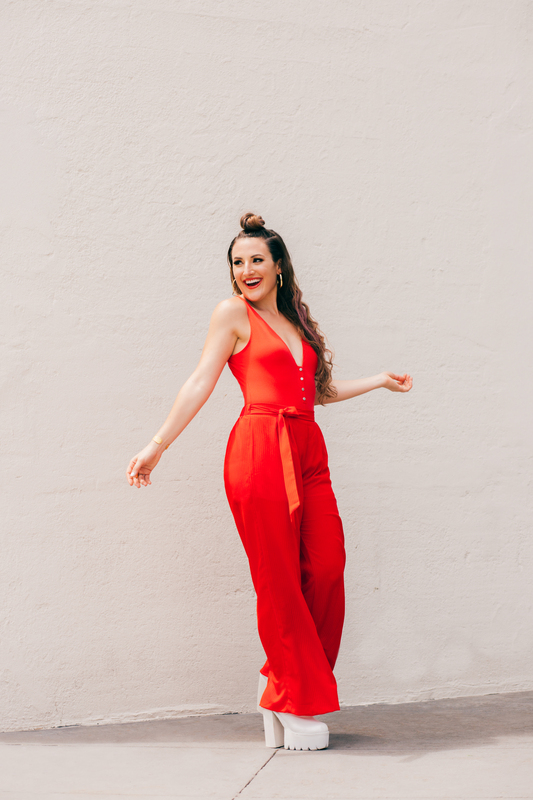 York County native and singer-songwriter Olivia Castriota released her latest single “Weekend Lover” on August 3. Combining her two favorite genres, pop and soul, Olivia created a super catchy feel-good tune about the intimate routine of a romantic relationship. Following up on “Weekend Lover,” her newest single “Pretty Girl” debuts September 28. From a young age, Olivia knew she was destined to be a musician. As a little girl with just a hairbrush and a room full of posters, Olivia had already settled into her destiny. Her passion never faded even as she began to grow up. When she was a teenager, she found support from the schools and programs around her. In high school, she immersed herself in musical theater at Susquehannock High School and Stewartstown Summer Theater. She would also sit in during demo recording sessions at York College of Pennsylvania. Years later, while she was attending YCP as a student, she filled her schedule with musical activities like the a cappella group Rhapsody and a role as a radio DJ for WVYC-FM. Today, Olivia loves every detail about her career and building her brand. She lives for the rehearsals, hair and makeup, pep talks, lights, cameras and crowds. The emotion she receives from the audience fuels her passion for performance. It’s a unique feeling Olivia hopes to never lose. “When I open my mouth to sing and watch the mood shift, it’s incredible,” says Olivia, “receiving the energy, the love and the appreciation that crowd gives you and knowing that for 60 minutes you gave them a piece of yourself that you’ll never get back. I never want that feeling to go away.” Today, you can listen to Olivia’s newest single “Pretty Girl” and stream “Weekend Lover” on Spotify, Apple Music, Amazon Music and everywhere else music is sold. Watch the official “Weekend Lover” music video. Keep up with Olivia on Instagram, Facebook and her official website.